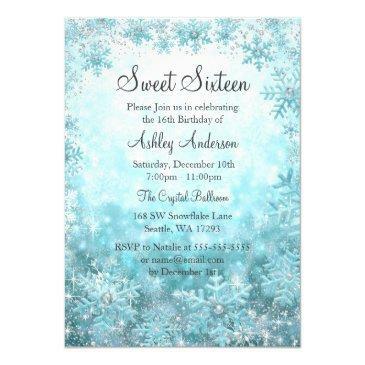 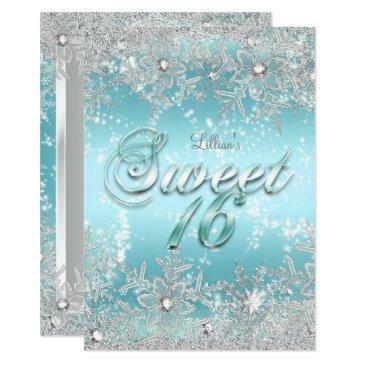 Celebrate having a winter birthday by throwing a winter wonderland themed sweet 16 party. 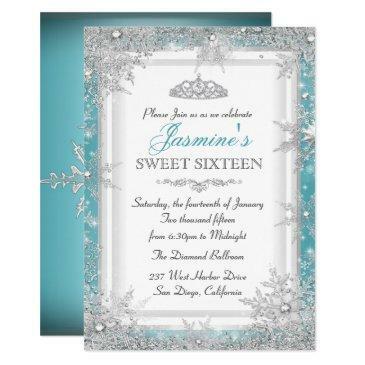 These modern invites are sure to impress! 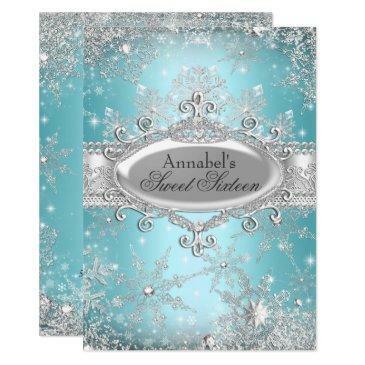 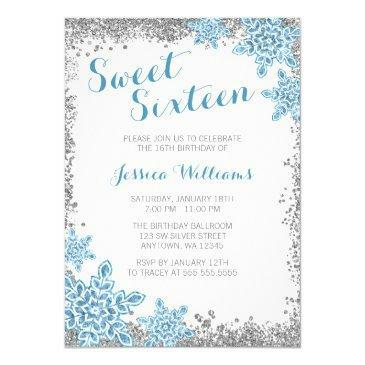 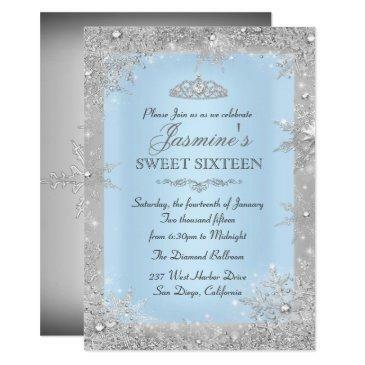 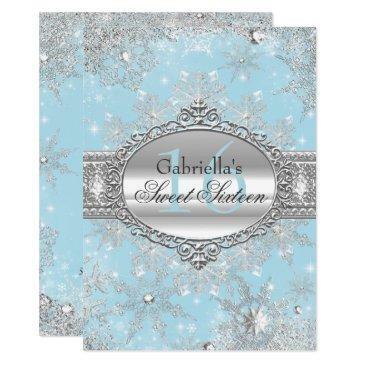 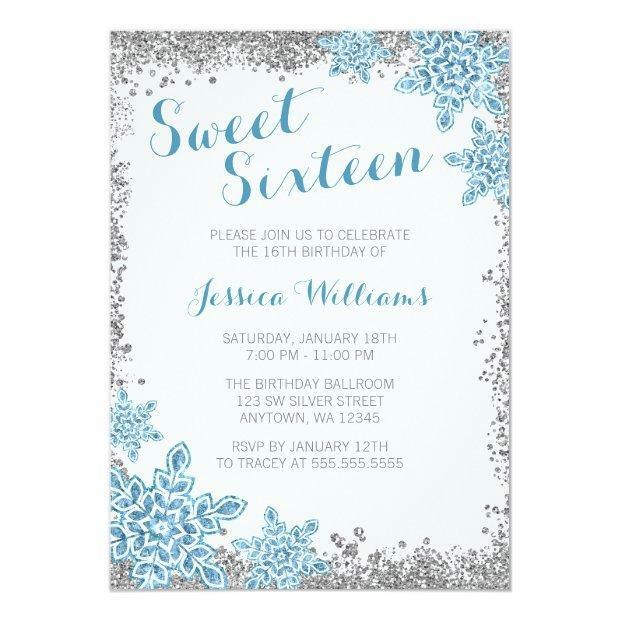 The design features faux silver glitter, blue sparkle snowflakes and stylish script font. 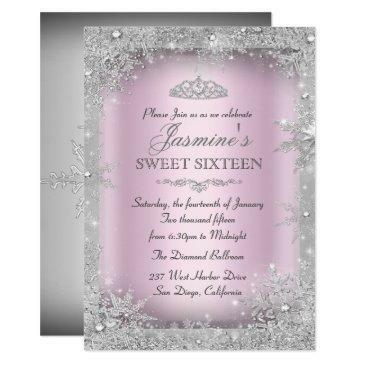 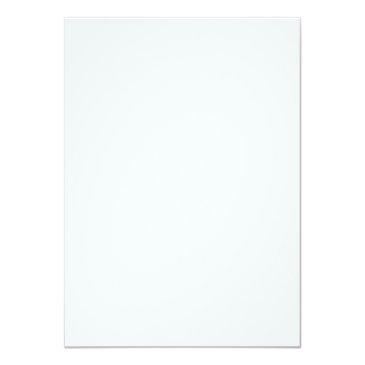 Designs are flat printed illustrations/graphics - NOT ACTUAL SILVER/GLITTER.